Almost as fun as going on vacation is planning the vacation. And that personal observation has actual scientific evidence. In August, we'll drive to North Carolina the slow way. Instead of speeding down the highway, we'll meander down the coast of DelMarVa and check out fishing villages and crab cake shacks. Steve's folks have retired to shores of North Carolina, so we go down there every other summer. Since that trip is mostly figured out, I've been daydreaming about a vacation next spring. I would love to retrace the steps of Jefferson as he explored French vineyards, but I suspect that we'll probably be going to see the Wizarding World of Harry Potter in Orlando Studios next spring. That's not a terrible thing. We had a lovely time at Disney last year, and the New York Times gave Harry Potter World great reviews. If you’re in Florida for a few days, the Atlantic coast between Melbourne and Vero Beach is fun — as is the inland area — generally Sebastian, FL. It’s a bit of older Florida and has mostly escaped the standardization that comes with lots of tourist traffic. It’s about 90 minutes from Disney. There are many good parks and opportunities to get out in nature and spring is a good time to go there, as it isn’t so hot. I’d never have gone there except that my grandparents retired down there. I was thinking of doing the Wizarding thing next spring as well. It looks wonderful! I might disagree about the planing thing (I never much enjoy it) but the Delmarva peninsula is great, and the Chesepeake bay bridge-tunnel is pretty cool, too. Planning vacations is pretty much my favorite thing ever. This year we’re going to Yellowstone and renting an RV. My husband thinks this will be better than renting a car and staying in motels/national park cabins. We’ll see. I also made the mistake of mentioning that I was thinking of planning a trip to Costa Rica, and now it’s all my 7-almost-8-year-old talks about. So I think I’m locked in. If you want to go to southern France, a friend/colleague has a house there and lives next door to a lovely couple who rents apartments. This year we’re going to Yellowstone and renting an RV. The walls of an RV will stop a bear for a good three or four seconds. Bring a giant can of pepper spray. Anyway, we drove through the west in a van pulling a pop-up camper. We were never mauled, but we stayed in a hotel for Yellowstone. Were going North from NC (our favorite beaches on earth) to Cape Cod this year for the free Gramma sponsored beach house. We are planning on just having fun. And trying not to stress the 14 hour drive or the fights that will inevitably happen with my Mom. Next year we will be going to Wrightsville in June and OBX in August if it kills us! While it sounds like a shot of pepper spray in the eyes can stop some bear attacks, red pepper spray residue attracts some bears (they’ve been observed enthusiastically rolling around in it) and may resemble a yummy condiment. Wow. I’m envious, again. 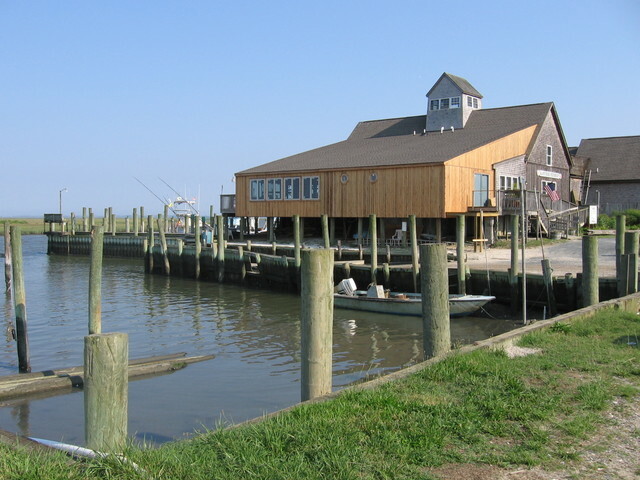 We loved the Chesapeake when we lived in DC; going over to the Eastern Shore, camping out with the kids, and exploring little fishing villages were some of the most fun times we had during those years. I wish we’d explored Delmarva even more than we did; there’s so much there. We never even made it to the Atlantic, we were so busy doing stuff along the Bay! Our kids would kill to get to Harry Potter world. So might Melissa and I, maybe. We’ve got about a four year window left, before our oldest graduates from high school and refuses to have anything to do with us any longer. We’ll keep hoping, I guess. YOGI II. This time, it’s not just picinic baskets. I’ll be the statistical outlier then, because I hate hate hate planning vacations. Thinking vaguely, sure, that’s fun, but actual planning? Shudder. It only gets worse when you have to think about what other people might enjoy. So much stress…. More power to those of you that can do this for relaxation.